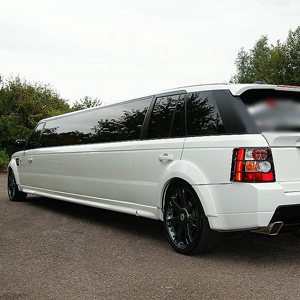 The Range Rover Limousine is perfect for any event in Essex, particularly proms, with its sporty feel and full Range Rover body kit its a big hit with teenagers in Essex. 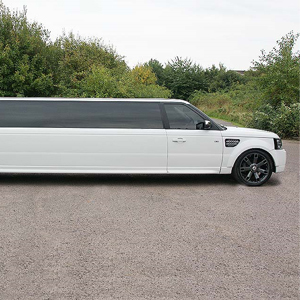 Ideal for making a bold entrance it is bound to turn heads, with stretch Range Rovers being uncommon you're definitely going to stand out from the crowd as you roll up to prom. The Range Rover Limousine is also a brilliant addition to any wedding, either as a wedding car for the bridal party or a super sporty entrance for the groom and his grooms men, guests are bound to be astounded by your choice of wedding car, combining sophistication with speed and agility, this stretch Ranger Rover will make a great impact to any event. 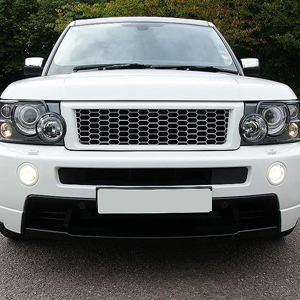 Seating up to 8 people comfortably this Range Rover has a multitude of uses such as stag and hen dos, get noticed as you dart about town in this sporty and somewhat unique stretch Range Rover.